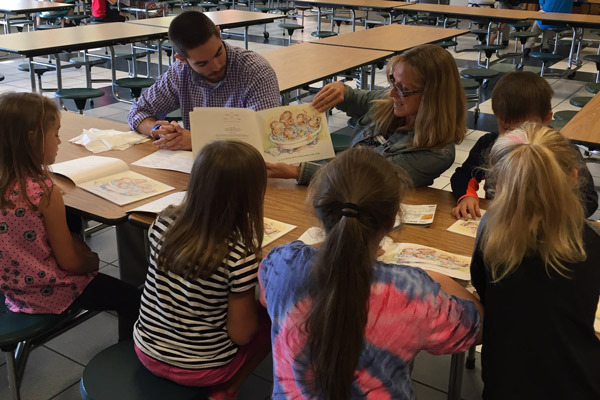 Students Rachel Leeth and Miles Duncan pitch in as members of UNG's year-old garden club. In spring 2015, a small group of University of North Georgia (UNG) students came together through a shared passion for sustainability and gardening. 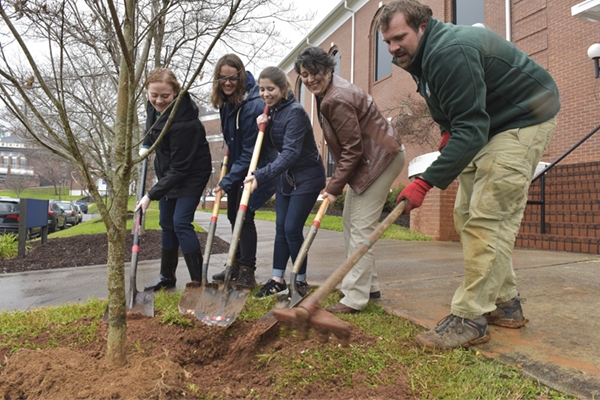 The goal was to create an organic community garden on the Dahlonega Campus between the dormitories of Lewis and Lewis Annex to facilitate a greener mindset, educate students on growing their own produce, and beautify the campus. Arianna Disser, a sophomore chemistry major specializing in chemical physics, is one of the 12 founding members of the garden club. 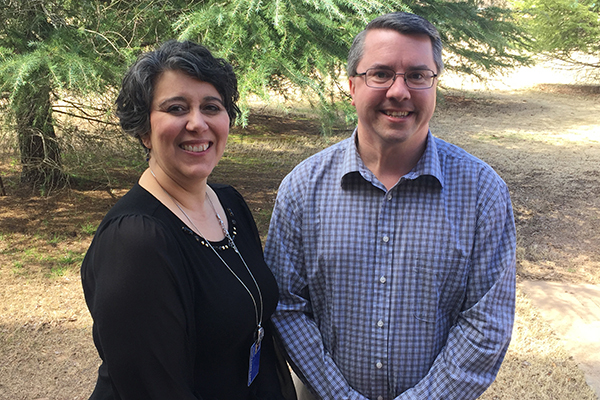 Along with Dr. Justin Ellis, professor of biology and ecological sciences, the garden club formed to begin innovations in campus sustainability which would encourage ventures that were already in place such as recycling and alternative energy resources. "Our members' interests are incredibly varied. We have people who have lived on farms their whole lives and others who have never even been in a garden. But we all have a united investment and desire in the success and growth of the garden," Disser said. Since 2015, the students have done much to the garden space, such as transforming the abandoned patches of dirt with soil treatments in the form of house-made compost and planting vegetables, which are gathered and used by the members. Plans for fruit trees and other produce are being made for future gardens. "Currently, we're working hard to build raised beds which require wood, nails, soil, seeds, and more soil treatments for the space at Lewis and the one next to the greenhouse," Disser said. "Since UNG has very few tools available for student use, we need equipment like shovels, hand clippers, gloves, and starter trays – the trays are critical to the garden's success because using them for seed germination is easier and has a higher production rate in comparison to traditional planting." As a part of UNG's Environmental Leadership Center, of which Ellis is the director, the club's mission includes acting as a sustainable foods model – to have several gardens across the Dahlonega Campus so that students have access to organically-grown produce and the opportunity to get educated about small-scale gardening. The unifying diversity of the club is what monopolizes its appeal, according to Ellis. "I think everyone in this organization can agree that we are a community of friends with a passion for campus involvement," Ellis said. Disser wants to share her pride in seeing the garden become more beautiful as it grows by including everyone who shares the interests of the club. 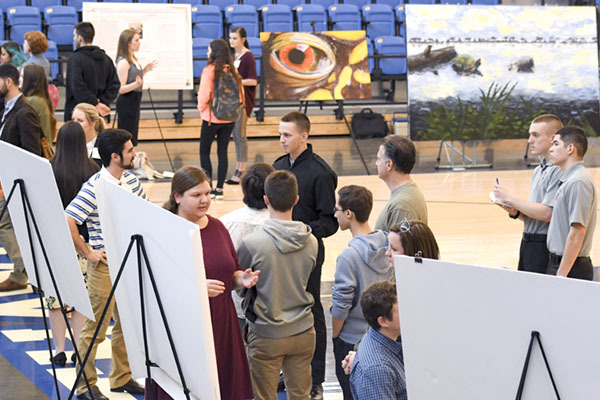 "We're looking forward to this opportunity to get our hands dirty and work hard, as well as to the educational elements that these projects will bring to our campus and peers," Disser said.